Online review sites have done a lot for promoting practices for many doctors who have worked hard to establish a good reputation among themselves and their staff. Unfortunately they can also do a lot of damage when vindictive or disappointed patients go out of their way to leave negative reviews on these sites; some true statements of less than stellar service and other negative reviews that aren’t quite accurate. It seems that those who have a complaint are twice as likely to make the effort to make their grievances known so learning to handle these bad reviews and perform the proper damage control is essential to keeping your practice in good standing. As mentioned, there are generally two types of negative review circumstances, one in which the patient or consumer has a valid, accurate complaint for a service that was less than what it should have been and they were let down in receiving care that was less that you hope for from your staff. Then there are those whose expectations are probably not in alignment with what you provide as a practice and may have unreasonable demands or are easily aggravated. When a client has been let down by an off day at your practice, the best move is to take responsibility for the situation sincerely and offer both an apology as well as a remedy for the disappointing service. Recognize that replying to a negative review is often an opportunity to prove your genuine interest in your patients by responding to their complaints. Those who have a legitimate complaint should be handled professionally and an offer for a redo might be suggested. Some irrational complaints are bound to occur, but this still provides an opportunity to respond with a level head and a rational comment so that others who might come across the review can judge for themselves between the two comments. Regardless of the nature of the complaint, even if it’s completely absurd, be sure to respond to show that your practice hears the complaints and feedback of their clients regardless. It’s important to maintain brand consistency when responding to reviews online by responding with a name that coincides with the practice instead of your own personal account or name. The name you respond with should show the name of your practice as well as your title as the owner or main practitioner. If you have someone else who manages your social media accounts on your behalf, make sure they login with the appropriate account before posting. Work towards transparency in all your online messages and responses. Instead of working to hide any negative feedback (which can make it seem as though you’re brushing negativity under the rug), respond professionally and resolve matters as they come up. This will help in building a reputation as a trustworthy practice that provides top notch service and fixes their mistakes when necessary. 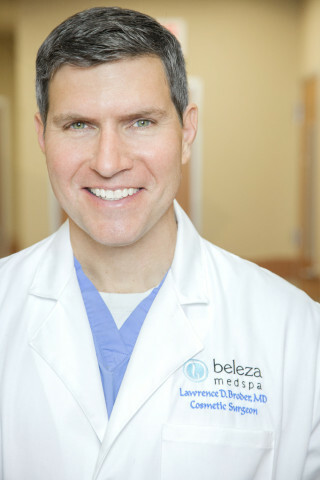 Dr. Lawrence Broder is a cosmetic surgeon and founder of Beleza Med Spa in Austin, TX. Dr. Beleza now has 5 locations in the area and is one of the most successful medical spas in Austin.